Just a few days after releasing the previous build, Microsoft pushed out another release for Windows 10 Preview, a third one in less than a week and a half. The new build is called Windows 10 Preview build 14367, and it is already available to all Insiders on the Fast ring on both Windows 10 Preview and Windows 10 Mobile Insider Preview. The new build doesn’t bring any major new features, but it adds a few things to the system. This was totally expected, since the build build is only a few days newer than the previous one, and as you probably know, Microsoft is now focused on fixing issues and enhancing the system for the Anniversary Update, rather than releasing new features. Since the build was released during June’s Anniversary Update Bug Bash, it was reasonable for Microsoft to release at least some improvements to the Bug Bash’s main engine, the Feedback Hub. However, the improvement is a minor one, as the new build just introduced the new keyboard shortcut for the Feedback Hub app on PC. From now on, if you want to quickly access the Feedback Hub in Windows 10, you just need to press Windows key + F on your keyboard, and the app will open automatically. Speaking of keyboards, the new build also brought handwritten support for some new languages, including Indonesian, Malay, Swahili, Xhosa and Zulu. And probably the biggest highlight of the new build is a new tool for fresh installing Windows 10. We already knew such tool was in the works, and it was just a matter of time when Microsoft would release it. The tool is available in Windows 10’s Settings app, and it installs a clean copy of the latest Windows 10 version, and removes all previously installed apps. So if you want to perform a clean install of Windows 10, using this tool is much easier, than using an installation media. As usual, Microsoft also fixed some known issues in the new build, but also pointed out to possible problems that can be caused by this release. You can find out more about known issues and fixed problems, as well as more details about the build itself, in Microsoft’s official announcement blog post. Of course, we’re going to scan Microsoft’s forums for even more issues, reported by real users, and we’re going to write our report about everything that bothers Insiders in this build. 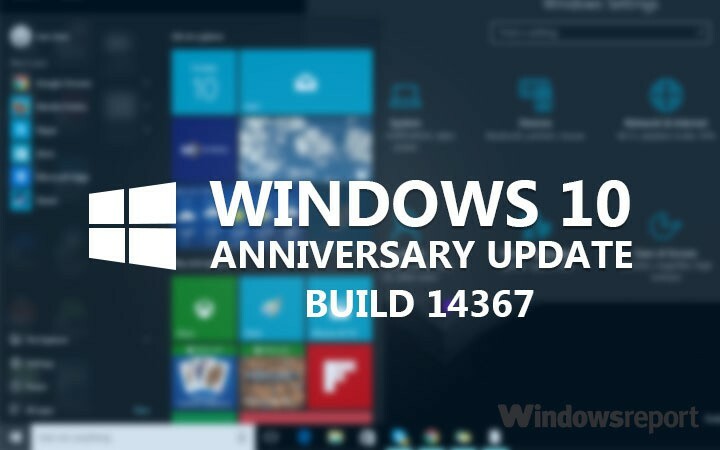 In case you already installed build 14366, and encountered some problems, feel free to let us know in the comments.